Sure a nice warm shower on that cold winter morning feels great, but the water that is too hot and will remove too much of your natural oils. Leave the hot water for cleaning greasy pans, not your skin. 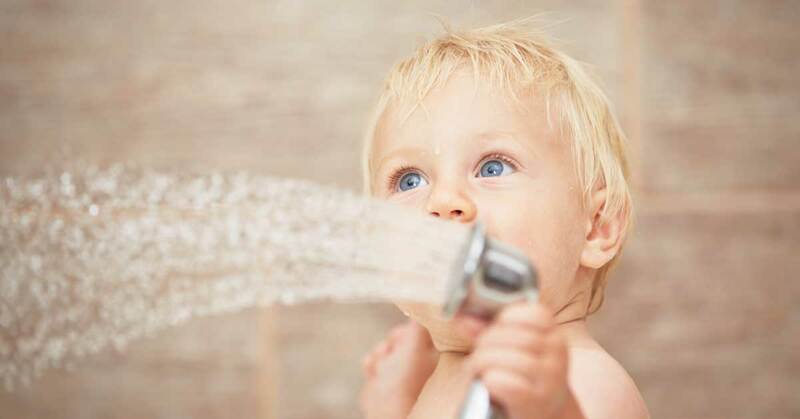 Besides wasting water and making your water heater work overtime, spending to much time in a shower will dry out your skin. A shower shouldn’t last more than 10 minutes. Dancing in the shower just isn’t a good idea. Water, slippery floor, and hard walls, just makes for a bad and sometimes deadly combination. Washing your hair every day is hard on your hair and your wallet. Depending on your type of hair you shouldn’t wash it more than every other day. If you have curly or coarse hair, it takes longer for natural oils to establish, so length the time between washing to 4-6 days. Too often we forget to clean our feet, but if you want to avoid foot fungus, aka Athlete’s foot, it’s best to spend a few minutes washing your feet. The shower is no place to leave your loofah behind. All those nooks and crannies are great for removing dead skin, but the dead skin is breeding ground for bacteria. It’s best to rinse it out in and hang it in an area which gets good ventilation to dry out. As long as your loofah is not made of plastic or other things that can melt, you can place a damp loofah in the microwave for 20 seconds, every couple of days to kill any bacteria. Don’t hop right out of that nice warm shower. Instead, spend 30 seconds getting blasted by cold water. Self.com claims cold water immersion will help build a stronger immune system, increase tolerance to stress and increase fat burning. If there is a thunderstorm outside, you want to avoid being near any plumping. A power line can or the ground can be struck by lightning, turning your copper water pipes into a conductor creating a shocking shower. Yes people have been reported to texting, talking and checking email on the shower. Do we really need to explain why this isn’t a good idea? I tried #6, it wasn’t a nightmare.